The Vision Big Mama 2.0 Fly Rod will serve pike anglers well by effortlessly casting the biggest of flies and is fitted with titanium guides for taking on saltwater conditions. 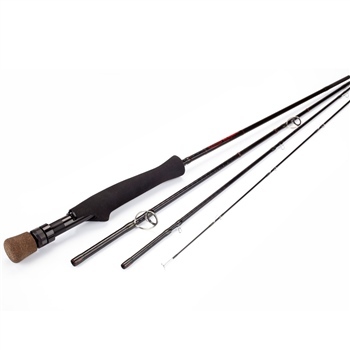 This rod is based on the original Big Mama range and features a powerful medium fast action that is forgiving but provides plenty of power for large pike. The handle is made from black EVA materials for complete comfort and secure grip. The rod blanks are a glossy black colour and features colourful Big Mama marking throughout for a bold appearance that will certainly grab attention. The Vision Big Mama 2.0 Fly Rod is a 9ft length with 4 piece sections and each rod is supplied in a matching cloth bag and tube. You can select your choice of model from our drop down menu.